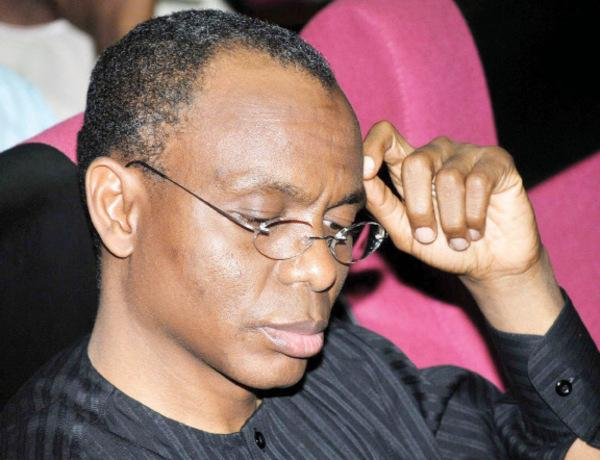 Youths from Southern Kaduna have vowed to unseat Governor Nasir el-Rufai of Kaduna State in the 2019 general election. 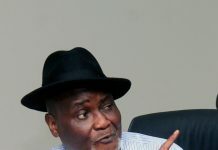 To achieve this, they declared that block votes would be given to the governorship candidate of the Peoples Democratic Party (PDP), Alhaji Isa Ashiru, and his running mate, Sunday Katung. Under the aegis of the Southern Kaduna Youth For Progress and Development, they said they were 100 per cent behind Ashiru/Katung ticket to unseat el-Rufai. Addressing a press conference at the Nigeria Union of Journalists’ Secretariat in Kaduna State, chairman of the group, Mr. Danjuma Sarki, who spoke on behalf of the youths, said it was only the Ashiru/Katung ticket that could restore the state its past lost glory. Sarki noted that the group was sure of of delivering block votes in 11 local government areas, which include the eight from the Southern Kaduna Senatorial Zone and two from Kaduna Central, Chikun and Kajuru as well as one from Kaduna North Zone – Lere local government area. The eight local government areas in the southern part of the state are Jemaa, Kaura, Kauru, Jaba, Sanga, Zango-Kataf, Kachia and Kagarko. He said, “Coming at a time when our dear state is in dire need of unity, stability and purposeful leadership, an ASHIRU/KATUNG ticket ushers in a new dawn and brings hope to the electorate. “We throw our weight behind this nomination and pledge to offer our support for the ticket to ensure victory for the party come 2019. Once again congratulations. Sarki also commended the choice of Mr. Sunday Katung, a serving House of Representatives member and former Commissioner of Finance in the state as the running mate to the party’s gubernatorial candidate. Sarki noted that ye choice of Katung as the party’s running mate was a step in the right direction. “His background as a lawyer and his experience in the financial sector that we are compelled at this point to declare our total support for both his nomination as running mate and the Ashiru/Katung ticket. “The choice of Hon. Katung as running mate is, without a doubt, a right step in the right direction, considering his popularity, pedigree and vast experience in administration and politics,” he added.